This free one page website template is perfect to use as a placeholder for a website that you will launching soon. 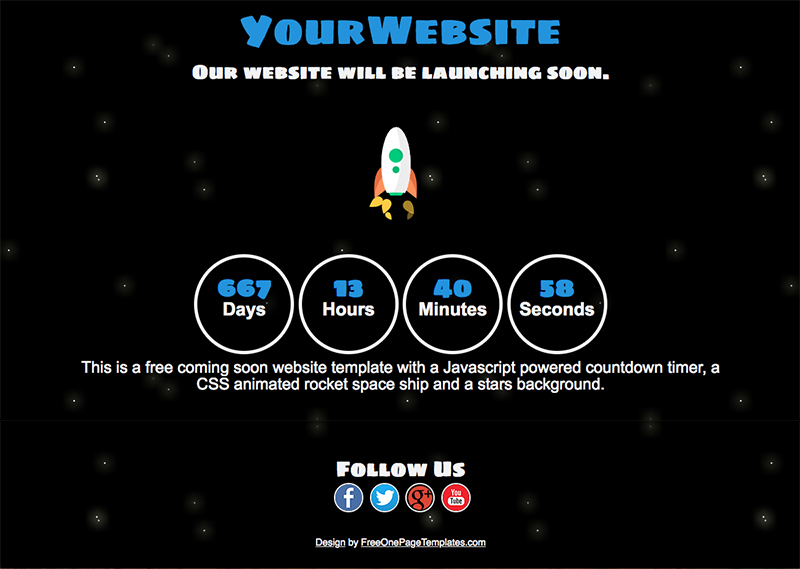 It includes an animated rocket ship that is made with HTML5 and CSS3 and a star background. It is responsive, easy to edit and loads fast. It has an area where you can include some text. There are a few social media icons (images) in png format. The animated rocket ship is thanks to umaar.com.